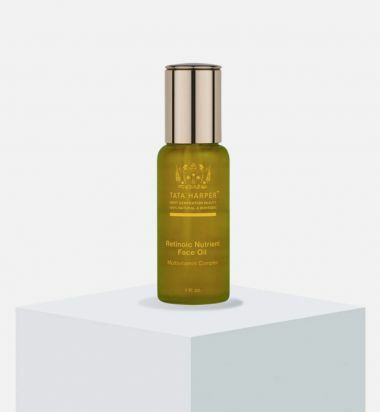 This age-defying face oil targets visible signs of aging with Vitamin A from Rosehip, a natural source of Retinoic Acid that makes up 37% of the formula. Rosehip helps keep skin hydrated, evens skin tone, and smoothes the look of wrinkles to give you a healthy, glowing complexion. Hydrates dull, lackluster skin for a brighter, more radiant appearance. Antioxidant and anti-inflammatory ingredients help reduce the effects of environmental damage. Helps to moisturize, condition and soothe dry or damaged skin. Alfalfa—Oxygenates the skin and helps nourish with Vitamins A, B, C, D, E.
Jojoba & Borage—Provides nutrients and fatty acids to deeply moisturize and soften skin. Rose Geranium—Helps moisturize and improve the appearance of skin tone. Linden—Naturally soothing for hypersensitive or irritated skin. Apply a heavy amount just before bed as a deep nourishing moisture treatment ; skin will be luminous and balanced when you wake up! Helps control breakouts and control excess sebum with refined, weightless oil blend. Apply to cuticles for a softening, healing. 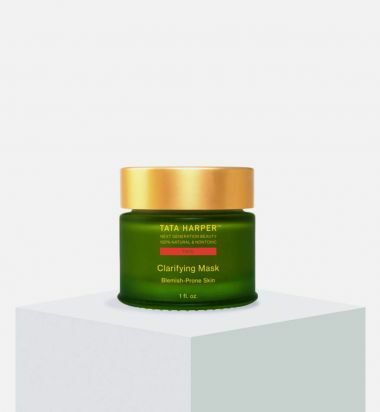 Tata Harper founded her namesake brand to give the skincare industry a fresh start with highly effective and luxurious antiaging beauty products free of synthetic and chemical ingredients. Made in small batches at laboratories in Vermont, Harper's products contribute to health, well-being, and peace of mind. This award-winning, best-selling concentrated formula helps to smooth the look of fine lines and wrinkles while infusing the skin with Hyaluronic Acid, antioxidants, and vitamins for a healthier, firmer looking appearance. A powerful blend of ingredients helps minimize visible signs of aging. Helps temporarily relax the look of fine lines and wrinkles. Skin appears visibly radiant and moisturized. The Buckbean Extract helps promote a visibly firmer appearance while the Rosehip Seed Oil improves the appearance of the eye area. The Spanish Lavender and the Date Palm Extract decreases wrinkle depth and inhibits muscle fiber contractions as well as enhancing a barrier for protection against daily pollutants. USE: For best results, massage into skin. Use AM & PM. Contains 90% organic content with ingredients from organic farming. Diamond dust, uniquely paired with a special blend of minerals, provides a perfecting veil imparting a subtle, soft-focus luminescence in this luxurious complexion-perfecting moisturizer. Hyaluronic acid plumps and hydrates for fresh and glowing skin. Provides long-lasting hydration and moisture barrier protection. Diamond Dust Mineral Blend illuminates subtle contours with light for a luminous, soft focus look. Dual Molecular Weight Hyaluronic Acid provides hydration and a plumper looking appearance. Safflower Oleosomes provide long-lasting hydration. Spanish Lavender, a neuropeptide made of selected molecules found in Spanish lavender oil, temporarily reduces the appearance of wrinkles. Buckbean Extract helps improve the look of firmness. Bamboo Ferment provides hydration and moisture barrier protection to help prevent moisture loss. Roman Chamomile's fresh scent supports the feeling of inner contentment and calm. This complexion clearing treatment has an enzymatic peeling effect that helps mask the appearance of breakouts, redness, and excess sebum without drying or irritating the skin. The Clarifying Mask is the ultimate weapon against any skin imperfection to get your skin back to looking healthy, balanced, and clear. USE: Apply a thick layer over the face and neck, leave for 15 to 20 minutes. Massage the skin with warm water to gently exfoliate before thoroughly rinsing. SUN ALERT: This product contains an alpha hydroxy acid (AHA) that may increase your skin's sensitivity to the sun, and particularly the possibility of sunburn. Use a sunscreen and limit sun exposure while using this product for a week afterwards. Alpha Hydroxy Acid Superfruit Blend has a chemical exfoliation effect to help minimize the appearance of blemishes and breakouts. Soothing Super Seed Blend helps calm and relieve the appearance of redness on the skin. Salicylic Acid Trio helps balance sebum and control excess oiliness on the surface of the skin. Quartz Sand Micro-Crystals has an exfoliating effect to soften and smooth the look of the skin. Chlorella gives the mask its green color and nourishes the skin with essential vitamins and fatty acids. Raw Honey Enzymes simultaneously moisturize and cleanse the skin, helping pores appear clear and clean. The Clarifying Moisturizer is specially formulated for blemish-prone and oily skin types to provide lasting lightweight hydration with a matte finish. This moisturizer helps clarify and balance by removing impurities and congestion from the surface of the skin. The formula boosts moisture while leaving a soothed and toned appearance. 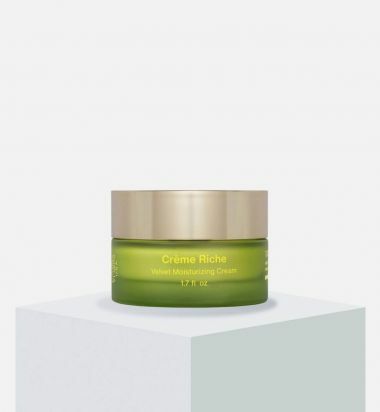 Our richest moisturizer is formulated with sixteen sources of hydration and twelve sources of age-defying botanicals that lift, plump, and volumize the look of the skin. Hyaluronic and essential fatty acids help lock in moisture for an instantly soft, supple, youthful appearance. Instructions: Apply 2-3 pumps of the Refreshing Cleanser. Massage gently to activate the enzymes and rinse thoroughly with warm water. Use in the morning and at night. Contains 83% organic content with ingredients from organic farming. This rich mask treatment provides maximum hydration and long-lasting moisture to even the most dehydrated, stressed skin. A proprietary Moisture Molecule Complex infuses the skin with biocompatible Hyaluronic Acid to promote deep hydration and a youthful cushion. This treatment helps protect skin from moisture loss, delivering a dramatically replenished feel and restoring a dewy luminosity. Provides a long-lasting, deep hydration treatment for dehydrated, stressed skin. Helps the skin appear plump from within. Locks in hydration and helps increase skin's ability to retain moisture. Leaves skin with a dewy, radiant look. Calcium helps to stimulate the skin's natural Hyaluronic Acid and Elastin production to prevent the look of sagging and loss of shape. Beet Root & Hydrolized Starch helps improve moisture content for a lush look while aiding in the maintenance of a healthy barrier. Plant Sugars fight dehydration by helping to reinforce the barrier, while reducing the appearance of fine lines. Avocado Protein helps promote synthesis of moisturizing molecules such as HA, while promoting a re-densified appearance. How to Use: Apply 2-3 pumps of the Moisturizing Mask in a thick layer to clean skin. Nighttime use: Leave on through the night to quench the skin and deeply moisturize. Daytime use: Leave on for 10 - 15 minutes to allow product to absorb into the skin, then wipe off excess with a tissue. Instructions: Apply Revitalizing Body Oil generously over the body and hands daily. For maximum results apply on damp skin in conjunction with the Strengthening Body Lotion. Use in the morning and at night. Contains 96% organic content with ingredients from organic farming.